An anti-virus scanner, also known as a virus scanner, scans hard drives for viruses and other harmful items and is a component of an antivirus program. The scanning methods are either automatic or manual and the virus scanner works in conjunction with the other elements of the AV program. Anti-virus scanners function by searching for virus signatures and hence rely on virus databases;the databases have to be updated regularly, failing which the virus scanners would be rather ineffective. How does a Free Virus scanner work? An antivirus software would always run in the background of your computer and would check every single file that's opened. Whether it's a word document, an EXE file or a zip archive file, the antivirus scans it for viruses before it is allowed to open. 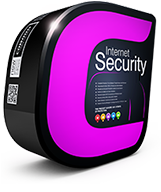 The scanning may be on-access scanning, background scanning, resident scanning, real-time protection or any other kind of scanning, based on the nature of the antivirus program. Other than on-access scanning, anti-virus programs also run full-system scans. This is especially helpful when a new anti-virus software is installed and helps ensure that there are no dormant viruses on a system. Similarly scheduled full system scans help ensure that the latest virus definitions are used to scan systems for dormant viruses. 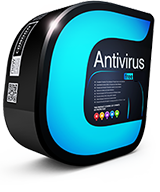 Most antiviruses continue scanning in the background and do their own, regular, full-system scans. Antivirus scanning happens with the software relying on virus definitions. Whenever a file is scanned, the virus scanner checks it against the virus data base and if the file matches any known piece of malware it's blocked and quarantined. Some antivirus programs may even delete such malicious files while some run unknown files in sandboxes. Virus scanner also employs heuristics, which would help identify new or modified types of malware without depending on virus definitions. There are of course times when antivirus programs would identify safe files as virus. This kind of mistakenly identifying safe files as a virus is known as "false positive". Heuristics might sometimes increase the rate of false positives. Still, it's always good to trust a virus scanner and then, if there is a doubt that it's a false positive, seek the help of VirusTotal. The detection rate of a virus scanner will depend on the virus definitions and the efficiency of the heuristics. 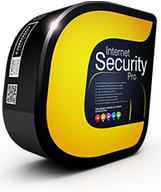 It blocks all kinds of viruses and malware, thereby providing reliable protection all the time. It provides fast, cloud-based scanning. It helps protect all kinds of devices. 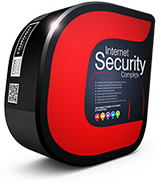 It automatically updates so as to facilitate the latest version and thereby ensure total protection. Quarantines all kinds of suspicious files.